Yet it’s extraordinarily difficult to terminate tenured teachers who commit crimes. Where’s the Schoolkids Union when you need them? (WAVY) A suspended seventh grade Virginia Beach student will find out soon if he is expelled for the rest of the year for shooting an airsoft gun. 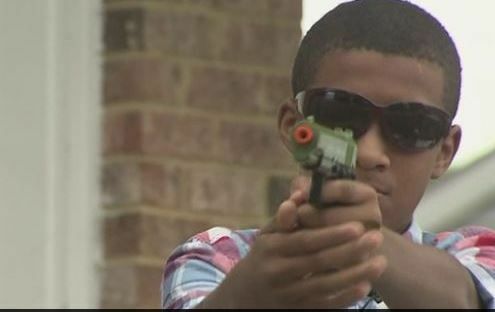 Like thousands of others in Hampton Roads, Khalid Caraballo plays with airsoft guns. Caraballo and his friend Aidan were suspended because they shot two other friends who were with them while playing with the guns as they waited for the school bus. The two seventh graders say they never went to the bus stop; they fired the airsoft guns while on Caraballo’s private property. Aidan’s father, Tim Clark, told WAVY.com what happened next lacks commons sense. The children were suspended for possession, handling and use of a firearm. The law in Virginia Beach is somewhat contradictory regarding whether or not it is illegal to fire an air-soft type gun, but, regardless, the police aren’t bothering with the matter. The school, though, has suspended the boys and they faced an expulsion hearing Monday. At what point did common sense die in this country in favor of hysterical morons?